I started off loving the book just by her intro. She lays the groundwork of where you are and who the characters are. In this case, Stella and Dallas (our female protagonist) are at their first year in college. Stella is Dallas’s best friend and total opposite of Dallas. But they have each other’s back and share a room on campus. Dallas’s mom up and left them, so Dallas was raised by her dad. Her dad is the main coach at the college she is attending. He was also the coach at her high school. Her dad is known for going to different schools and fixing the teams and then moving on. And if you were thinking, yes, Dallas is named after a football team. Dallas and her dad don’t really have a great relationship as he is busy at work. They don’t fight; they just exist with each other. Dallas has a dream of dancing, but her dad wouldn’t have it as it won’t get her anywhere in life. So she goes to the same college as her dad because it has some semblance of dance. In high school, she had a boyfriend, Levi, who is now also attending the same school. Dallas loathes Levi. He used her and spit her out. She never said anything to her dad about it. But Dallas really doesn’t want anything to do with boys who play football. Levi still plays football there as the quarterback and is doing well! But there is another boy wanting that spot and will do anything to get it, including working out harder and longer and studying different plays. This boy, Carson, doesn’t think the Coach notices; but he does. 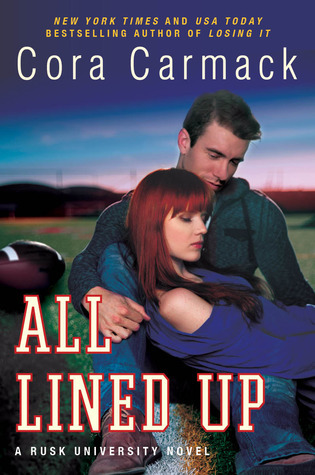 When Stella drags Dallas to a party trouble ensues with one of the football players. When she makes an escape over a balcony in a skirt; there just happens to be the same boy, Carson hanging out in the back. He kind of comes to her rescue. Dallas is surprised with herself when they find themselves making out right after that in the back yard. So not like her. 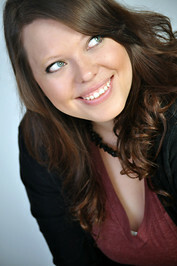 When Stella finds them, she breaks it up because she knows Dallas isn’t like that and Stella thinks Dallas is a virgin. Dallas never told Stella that she gave it to Levi. She just doesn’t want to talk about it. But as time reveals everything, she finds out Carson is on the team and she is mad. But Carson didn’t know that the Coach was her dad either and they hadn’t really given each other last names or talked about what they are doing at school yet. As they get over that hurdle they slowly become secret friends. But in the beginning before Carson knew all that. He hears and kind of ignores a conversation in the locker room about her. It is a bet on who can get in her pants first and that she doesn’t give up easily. Carson wonders who they are talking about but stays clear of the gossip and is not that kind of boy. Dallas doesn’t tell her dad about Carson. Carson doesn’t say anything to Dallas about the bet once he realizes it was her. But things have a way of coming out and in a bad horrible way it does and it goes viral with major misunderstandings. Now how to fix it?? Oh yeah, and Dallas really wants a shot at dancing and how will her dad handle that one too?? Also the book is about finding your own way. That is a topic I love. Dallas really wants a shot at dancing and how will her dad handle that one?? Carson is working hard because he needs a scholarship and wants to go pro. He isn’t sure if he has what it takes and money is tight at home. I love the humor in the book. The inner conversations Dallas and Carson have in their heads. Yep, they both have their own POV’s. Carson is unbelievably kind and sweet to Dallas. He is a treasure and if he were mine; I Would. Not. Let. Him. Go. Ever. To sum it up, go get the book!! Having the privilege to watch them play! I love their physique. They are just so athlete and fit and I love watching their muscle flex.